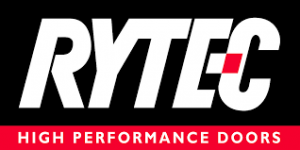 Jackson, WI– New, advanced technology introduced by Rytec Corporation now allows real-time monitoring of its high-speed, high-performance doors. Using cloud-based technology, door activity can be remotely monitored by individual or multiple users simultaneously, for single or multiple doors and locations. Doors also may be opened or closed from nearly anywhere via text using cellphone or online through the cloud. Finally, monitoring and managing high-performance door activity has become efficient and convenient for warehousing, production, cold storage and automotive environments. With Rytec Connect, door activity and status can be monitored continually, 24/7, or during set schedules. Featuring 8 customizable inputs and outputs and live door cycle counting, both live log and status log reports can be quickly and efficiently generated. Receive maintenance and preventive alerts as well as service reminders, along with live map views of routes and priorities for doors throughout the country. Rytec technical support is also available to provide real-time monitoring on service calls. Once again, Rytec has focused on innovation to better serve the needs of its customers, and improve upon the quality, performance and reliability of its portfolio of high-performance doors. With 100,000 doors in operation worldwide, Rytec is North America’s leading independent manufacturer of high-speed, high-performance doors for industrial, commercial, retail auto, food and beverage, and controlled-temperature environments. Every door addresses a specific operational and environmental challenge and is engineered for maximum safety, productivity and efficiency. Corporate offices and manufacturing operations are headquartered in Jackson, Wisconsin. Customer support is provided through national and regional offices and a network of local dealers and installers throughout North America.